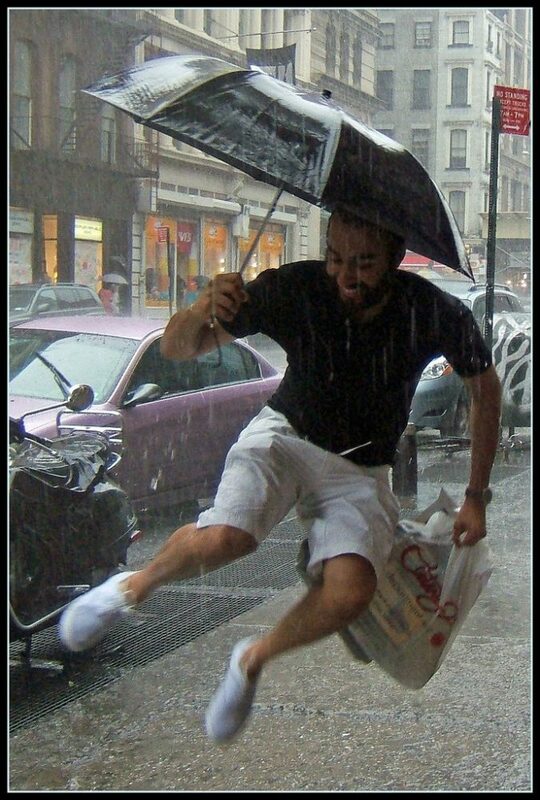 Have you ever wanted to walk out your door for the day and know if you were going to need your umbrella? A local forecast scan be helpful, but sometimes you just want a Yes or No answer as to whether it’s going to rain today or not. Right? Well, then here’s a good site for you: Is It Going To Rain Today? You can see the chance of precipitation where you are, hour by hour. What time is it going to rain today? It’s the smartphone app called Rain Alarm. It warns you about any type of precipitation (rain, snow or hail) via notification, vibration, or sound on your phone. Sometimes you want to know more than if it’s going to rain — you might need to know exactly what times throughout the day it will be raining where you are, and what the odds of rain are. #1 – Soon, you may be able to tell if it’s going to rain or not from your toothpaste dispenser. The dispenser would send out 1 of 3 different types of toothpaste, depending on the weather — one for colder, one for warmer, and a third for a chance of rain. How wild is that?! #2 – Did you know?… If a forecast for a given county says that there is a 40% chance of rain this afternoon, that means there is a 40% chance of rain at any point in the county from NOON to 6PM local time. Want even better, more accurate, weather forecasts beyond the typical 7- or 10-day period? Check out Weather Trends 360! The technology is delivered by Forbes winner Weather Trends International. For over a decade, they have been pushing the envelope on what people believe is possible about future weather forecasting. Now you can see what the weather is expected to be like over the next 360 days… all over the globe! They deliver long-range weather forecasts that are better than “averages.” This information will help you plan — around the weather — a little bit better.